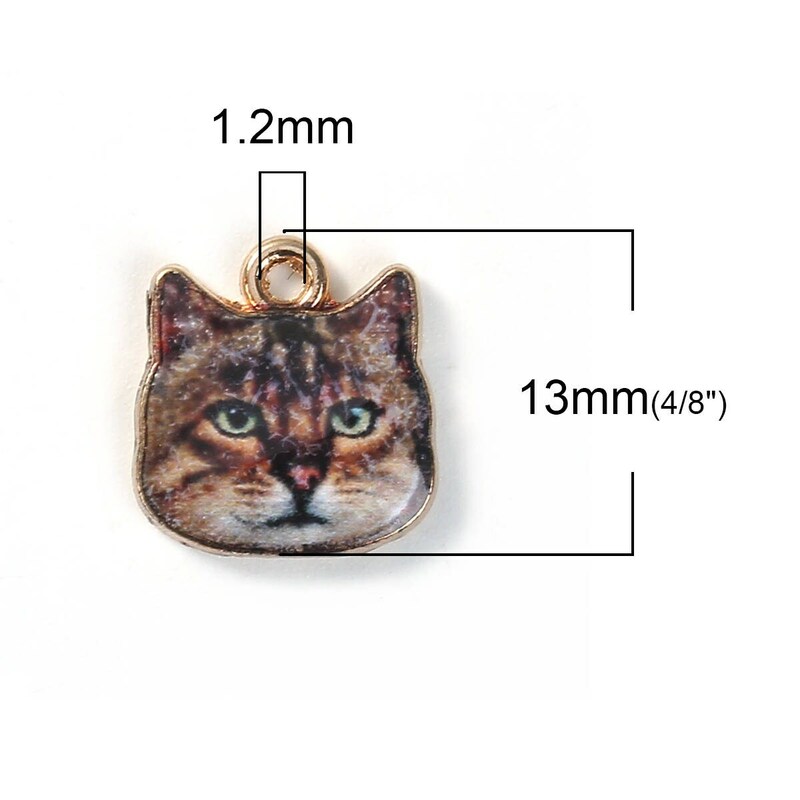 Zinc Based Alloy Charms Cat Face Charms Gold Plated Brown Tiger Tabby Cat 13mm ( 4/8") x 13mm. Enameled design is on the front side and gold plating on the back side. 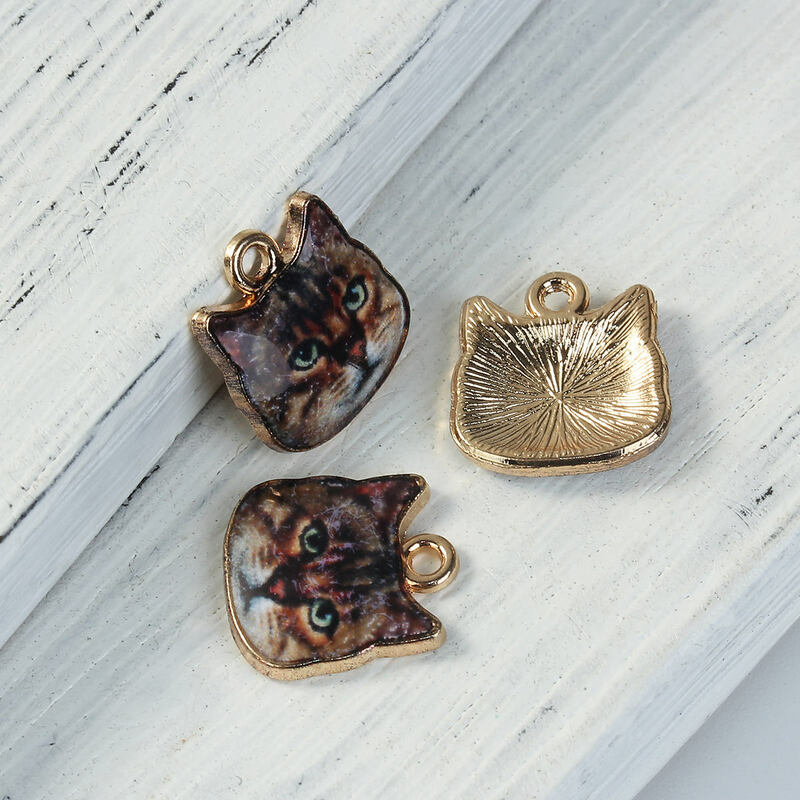 Adorable charms for cat lovers!